This honorable weekend celebration is hosted and sponsored by The Tampa Bay Gospel News, with additional community leaders and supporters in the surrounding Tampa Bay Areas. 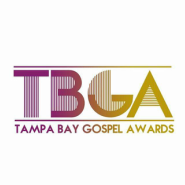 The Vision of the Tampa Bay Gospel Awards is to honor, recognize and encourage those who express their love through the Ministry of Music, to continue spreading the gospel of Jesus Christ amongst nation. Supporting and recognizing Independent Artist, Vocalists, Choirs, Worship Leaders, Dance, Spoken Word, Christian Hip Hop Ministries, and etc.